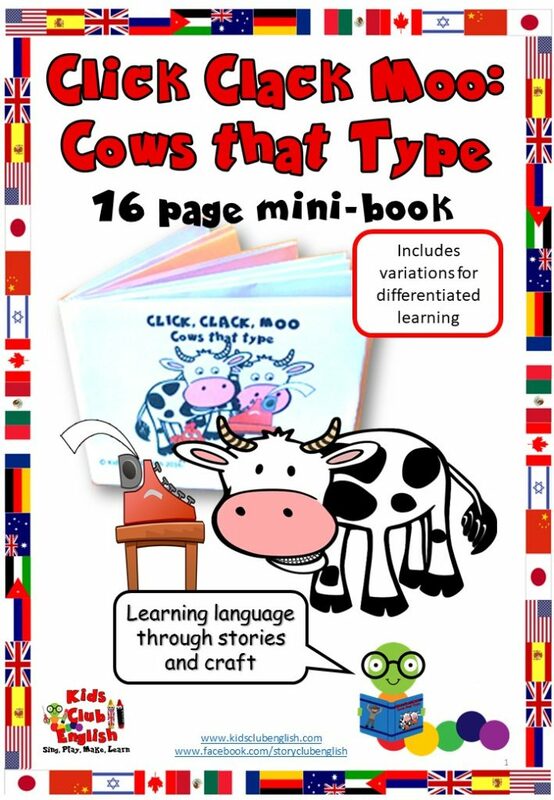 Make your own CLICK, CLACK, MOO mini-book! There are two main types of template in this pack. One is designed to simply print and assemble. The other is designed so that the kids have to find, stick and assemble their own story. The second version is included to allow for more sequencing tasks and is more conducive to re-telling the story while making it. There is also a set of alternative farm pictures so that you can focus on other farm animals too. If you don’t have access to the story, you can find videos and other related resources on our Story Resource Page.